Montello S.p.A., based near Bergamo/Italy, uses the latest sensor-based technology of 40 TOMRA machines to give a new lease of life to tonnes of post-consumer plastic arriving from Lombardy. 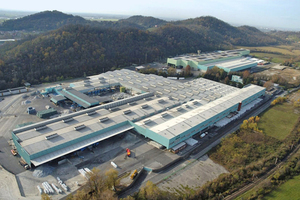 Back in 1996, at the time of the steel crisis, the company‘s management decided to discontinue production of iron bars for reinforced concrete and transform the business into what would become one of the most advanced waste processing facilities in Europe and the only one in Italy capable of managing the complete cycle. Today, Montello S.p.A. occupies a 350 000 m² industrial site, including a 120 000 m² indoor area, and employs approximately 500 people. 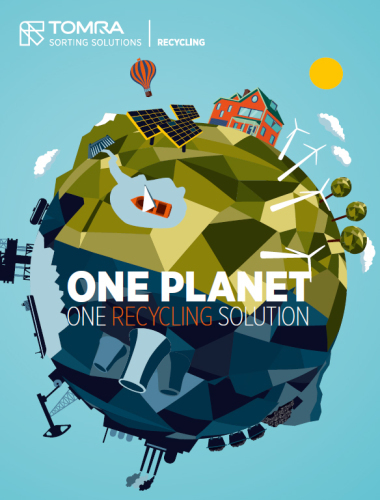 Technology is everywhere, mainly due to the use of TOMRA Sorting Recycling optical sensors, which are capable of recognising the different types of plastic and so reduce the need for manual sorting to a minimum. This means 150 000 t of post-consumer plastic packaging waste are recovered and recycled every year and, for the environment, a reduction of about 200 000 t/a in CO2 emissions. 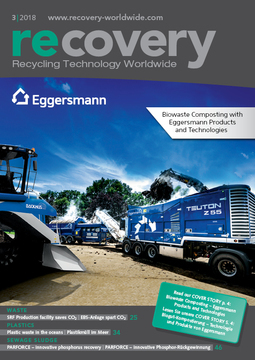 Added to this, the company sorts and processes around 300 000 t of organic waste collected for recycling, from which it obtains biogas (to produce the energy to power the facility) and high-quality fertilizer. 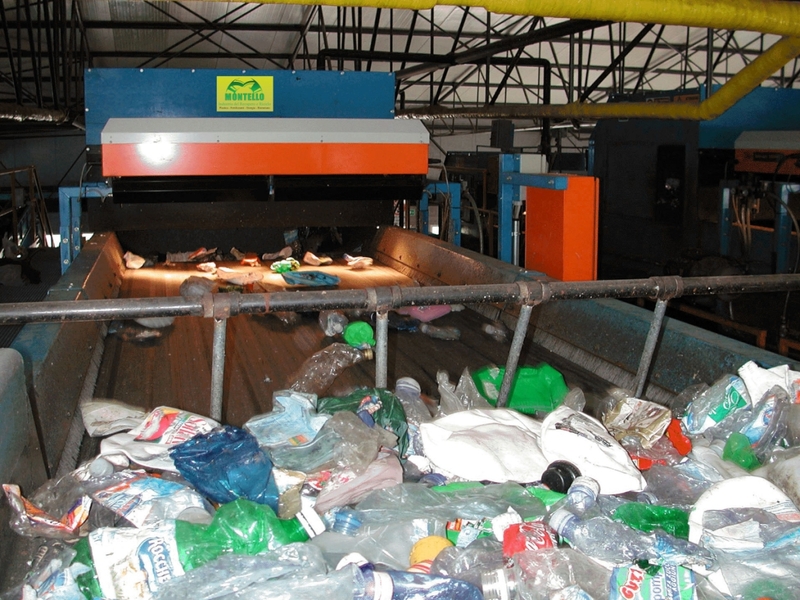 The company entered into the partnership with TOMRA Sorting Recycling immediately and by 1999 Italy had its first automatic system for sorting plastic containers for liquids (clear PET, blue PET, coloured PET and HDPE), as required by COREPLA, the Italian consortium for the collection and recycling of plastic packaging. It was so efficient that the flow diagram of the sorting process, defined for that first plant, is still taken as a standard of reference by all COREPLA Sorting Facilities that use automatic sensor-based sorting systems. 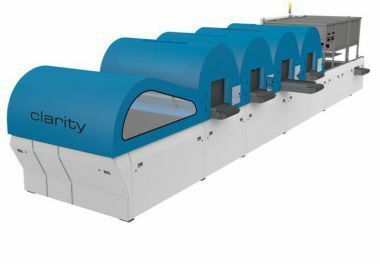 Montello currently has 40 AUTOSORT machines, which are mainly used in the sorting and recycling of post-consumer plastic packaging. 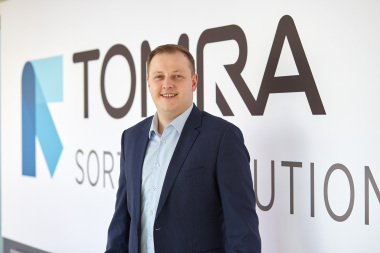 TOMRA’s AUTOSORT machines use spectrometry combining NIR (Near InfraRed) and VIS (Visible) sensors in a universal modular sorting system that can accurately and quickly recognise and separate a huge amount of material, according to its type and composition, to extract high-purity fractions. 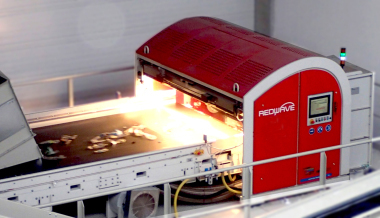 NIR technology is used for sorting polymers and the VIS sensors for sorting colours. 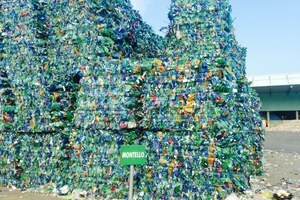 In addition to receiving plastic packaging waste from Milan and Bergamo, Montello also receives 60 % of Lombardy’s plastic waste. The plastic from Milan (collected by AMSA) also comes with aluminium cans, which are therefore sorted and separated. 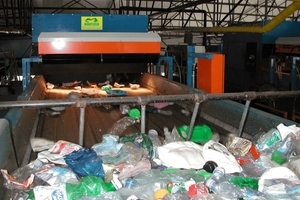 Sorting is performed by rollers, separators and suction units and, above all, by the high-resolution NIR (infrared) sensors of TOMRA‘s AUTOSORT machines installed along 6 different lines: materials are sorted by type of polymer and, in the case of PET liquid containers, also by colour, at a speed of 3 m/s. The extracted secondary raw material is then separated into: flakes of PET (Polyethylene terephthalate) from beverage bottles; granules of HDPE (high-density polyethylene) from bottles for liquids such as detergents, and granules of LDPE (low-density polyethylene) and mixed polyolefins, from carrier bags and film-type packaging. The secondary raw materials are then sold to produce new wrapping and packaging materials, objects, containers, building material, vases and other plastic items. There is also one finished product that is made by Montello: dimpled geomembrane, used as an insulating layer in the construction industry. 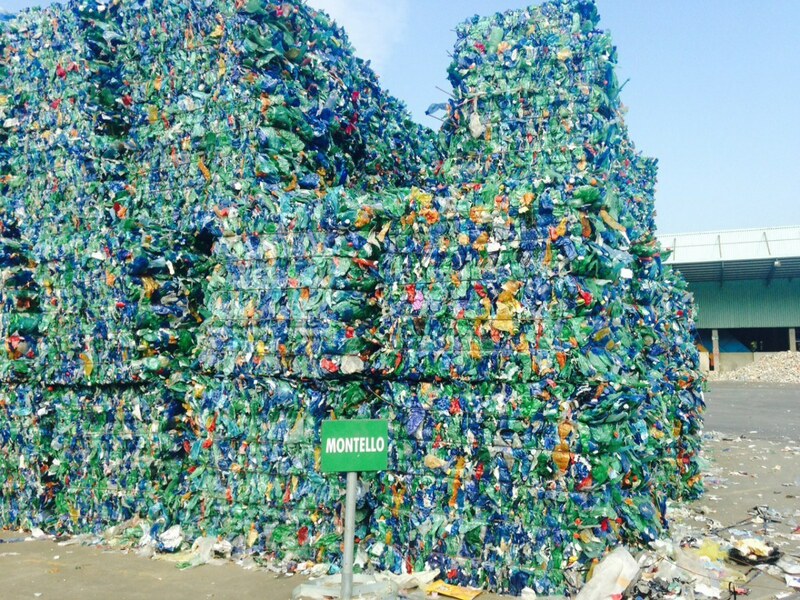 At this facility, 80 % of plastic is transformed into secondary raw materials, 20 % into secondary solid fuel (used as a coke substitute at cement works and blast furnaces). Nothing is sent to landfills.